The most mindboggling number to come out of the 2011 World Series of Poker thus far hasn’t been the marked attendance increase in many tournaments despite Black Friday, or that women have finished runner-up in two open events thus far and made four final tables, or even the fact that the number of Triple Crown winners in poker has doubled from two to four –with Jake Cody and Bertrand Grosspellier joining Gavin Griffin and Roland de Wolfe, the real stat that has caught everyone’s attention is this one: Twenty first-time WSOP bracelet winners after 21 events! The only outlier being, now 5-time WSOP bracelet winner, John Juanda’s victory in the $10k No Limit 2-7 Lowball Championship. 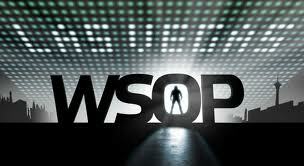 Other than that it’s been all first-time winners at the 42nd Annual World Series of Poker. But it’s not as if amateurs have been stealing the show at the 2011 WSOP, instead there has been a run of poker pros capturing their first WSOP jewelry, with names like Jake Cody, Allen Bari, Eugene Katchalov, Brian Rast, Bertrand “ElkY” Grosspellier, and Jason Somerville all capturing their first WSOP bracelet in 2011. Of course a small run of three or four previous bracelet winners would even things out fairly quickly, but at this point the amount of first-time bracelet winners is unprecedented. This entry was posted on Wednesday, June 15th, 2011 at 9:11 am and is filed under Poker News. You can follow any responses to this entry through the RSS 2.0 feed. You can leave a response, or trackback from your own site.